We take a look back at how the RWC 2019 qualification process unfolded over the last 12 months, with USA, Fiji and Tonga all confirming their places at the game’s flagship tournament in Japan. Fifteen down, five to go … we review how the Rugby World Cup 2019 qualification picture changed region by region over the course of the past 12 months. The winners of the Rugby Africa Gold Cup in 2018 will go to RWC 2019 as Africa 1 and play New Zealand, South Africa, Italy and the Repechage Winner in Pool B. A 26-18 defeat to Tunisia in Monastir in early August condemned Senegal to life in the second-tier Rugby Africa Silver Cup in 2018, and thus eliminated them from the RWC 2019 qualification process. For Tunisia, however, the dream of competing in Japan in less than two years’ time lives on, as that victory, their second of the restructured competition, saw them maintain their top-flight status. Tunisia will now compete with reigning Gold Cup champions Namibia, 2017 runners-up Kenya, Uganda, Zimbabwe and newly-promoted Morocco, winners of the Silver Cup, for the 2018 Gold Cup title and a place at RWC 2019. Uruguay and Canada will meet early in the New Year to decide who goes to Japan as the Americas 2 qualifier. For the loser, the global repechage tournament beckons. The USA emerged through the qualification process at the expense of rivals Canada for the first time in their history, winning the Americas 1 play-off 80-44 on aggregate over two legs. Canada had come out on top in 15 out of the previous 20 qualifiers between the two and drawn the first game, 28-28. But they were no match for the Eagles in the return clash in San Diego a week later, as the home side produced the perfect send-off for captain Todd Clever in his 76th and final test. Only 10 points separated the sides at the break, but three converted tries without reply in a devastating six-minute spell saw the Eagles pull away and eventually win 52-16. The reward for USA is a place in Pool C alongside England, France, Argentina and Tonga. A home-and-away play-off against Uruguay now awaits Canada to decide which of the two teams will progress to RWC 2019 as Americas 2. Uruguay made it through to this stage of the process by claiming the South America A Championship, following wins against Paraguay, Brazil and Chile. As the higher-ranked of the two teams, Uruguay enjoys home advantage in the second leg on 3 February. The prize for the winner is a place in Pool D with Australia, Wales, Georgia and Fiji. The winner of the Asia Rugby Championship 2018 will take on Tahiti for the right to play in the RWC 2019 global repechage tournament that will decide the 20th and final qualifier. A 22-9 victory over Sri Lanka in the Asia Rugby Championship Division I title decider resulted in Malaysia winning promotion to the region’s Top 3 competition, where they will compete with Hong Kong and Korea in the final stage of the region's qualification process. Malaysia and Sri Lanka won both their opening games, against the Philippines and the United Arab Emirates respectively, to set up the crunch clash in Ipoh Padang. Ranked 16 places higher than the tournament hosts, Sri Lanka started the game as favourites but not even the loss of three men to the sin-bin could deny Malaysia a shock victory. The Europe 1 spot, and a place alongside Ireland., Scotland, Japan and the Play-Off Winner in Pool A, is the prize that awaits the highest ranked team other than Georgia in the 2018 edition of the Rugby Europe Championship. The next-best team faces a play-off against Rugby Europe Trophy winners Portugal, with the winner then taking on Samoa in a cross-continental play-off. More RWC 2019 qualifiers took place in Europe than in any other region in 2017, with results from all levels of Rugby Europe’s pyramid structure counting towards the process. Romania are in pole position to take the direct route to Japan as Europe 1, recovering from an early setback against Germany on the opening weekend to reel off four straight wins, including an 8-7 victory against defending champions Georgia. The Oaks hold a two-point cushion over their nearest qualification rivals Spain who, in turn, are four points better off than Russia as they look to secure an Iberian derby play-off against Rugby Europe Trophy champions Portugal. Os Lobos’ dreams of making a second appearance on the Rugby World Cup stage, following their debut in 2007, are still alive thanks to a 45-12 win in Lisbon against the Czech Republic in the final qualifier of the year. The Czech Republic had got that far by firstly winning the Conference 1 North title and then beating Malta and Hungary, winners of Conference 1 South and 2 North respectively, in winner-takes-all play-offs. While the Oceania 1 and 2 spots have now been decided, with Fiji and Tonga making it to RWC 2019 as the two highest ranked teams across both the 2016 and 2017 editions of the World Rugby Pacific Nations Cup. 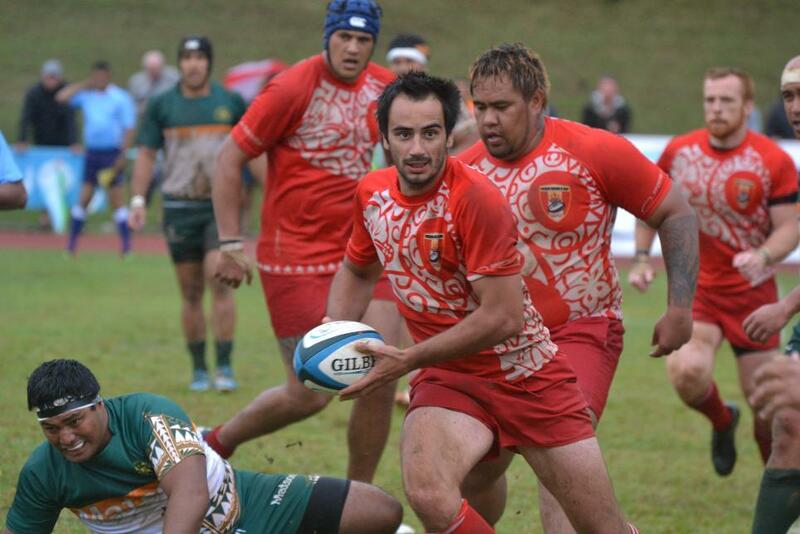 Samoa and Tahiti still have work to do if they are to join them there. Fiji successfully defended their Pacific Nations Cup title to qualify for RWC 2019 as Oceania 1, taking their place in Pool D alongside Australia, Wales, Georgia and the Americas 2 qualifier (Canada or Uruguay), while runners-up Tonga complete the Pool C line-up with England, France, Argentina and USA as Oceania 2. RWC quarter-finalists in 1987 and 2007, Fiji booked their ticket to Japan with a round to spare following a tense 14-10 win over a resurgent Tonga. A hat-trick from Henry Seniloli ensured they signed off in style with a 38-16 victory against Samoa in the final fixture at Apia Park. An earlier defeat to Tonga meant Samoa had to get something from that concluding game to qualify as Oceania 2, but they fell short and ended up one point adrift at the foot of the combined standings. The Samoans must now wait to learn the identity of the European team they will face next year to determine the Play-off Winner qualifier in Pool A. If Samoa fail to take that route – by beating the winner of Portugal versus the second-place team in the 2018 Rugby Europe Championship (excluding Georgia, who have already qualified) – they will be pitched into the global repechage tournament. Tahiti moved onto the next stage of Rugby World Cup 2019 qualification after beating the Cook Islands for the first time to win the Oceania Rugby Cup 2017. The 13-9 victory in Raratonga means they will face the Asia Rugby Championship 2018 Top 3 champion in a home and away play-off with the winner progressing to the four-team global repechage tournament.